August 18, 2016. With a progressive, innovative, and rapidly expanding network of Nursing and Rehabilitation Centers, Nationwide Healthcare Services is renowned for providing an all-encompassing continuum of care with exceptional delivery of service. Nationwide’s impressive portfolio of Centers in Pennsylvania and Delaware is only surpassed by the positive impact their Centers have in each of the communities they serve. “At Nationwide Healthcare, the term ‘healthcare’ means more than just supplying health services and managing health conditions”, says Meg Judson, M.H.A., and Director of Business Development at Nationwide Healthcare Services. “We are focused on anticipating the needs of people requiring post-hospital recovery and long-term care that live in the communities near our facilities and providing them with an environment that is as thoughtfully designed as it is warm and welcoming”. Indeed, the moment you enter a Nationwide Healthcare facility, you can appreciate how far reaching Nationwide’s Mission is, and how keen their understanding is of “restoring to optimal state” each of their facilities. Each center, initially acquired as an antiquated nursing facility, usually in poor condition, is meticulously restored and transformed into a state-of-the-art Nursing and Rehabilitation Center. Keenly aware of the impact that our everyday surroundings have on our state of mind, and how this is heightened when receiving nursing care or rehabilitation, Nationwide’s concept of restoring a facility goes far beyond a fresh coat of paint and a new façade. When Nationwide acquires a facility, they transform it into a state-of-the-art environment that is luxurious and that envelops their patients and residents with an all-encompassing sense of wellbeing. Brookside Healthcare and Rehabilitation Center, in Abington, PA, is one example of Nationwide’s commitment to provide clients with a top-notch environment. Transformed by Nationwide into a distinctive, technologically advanced Center, Brookside was the first skilled-nursing facility worldwide to acquire the ZeroG Balance Training System by Aretech and a Woodway Treadmill, both renowned for maximizing patient outcomes. Also worth noting, this facility features a daily private rate that includes 24-hour nursing care, medication administration, three meals a day, recreational programs seven days a week, and assistance with all Activities of Daily Living (ADL) – and does not receive extra reimbursement for this state-of-the-art equipment. This is a prime example of Meir Gelley’s vision of healthcare. 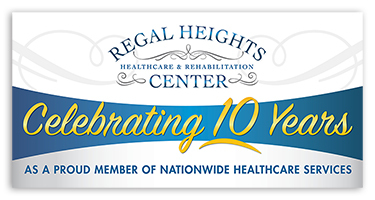 As the owner of Nationwide Healthcare Services, Gelley understands the importance and benefits of installing the ZeroG System to allow residents of Brookside to recover close to home and undergo therapy at high-intensity levels soon after an injury to speed up the recovery process, which is a Care Core Value in all Nationwide Healthcare Centers. “We are cognizant that healthcare is not the sole domain of the therapist or the nurse or the specialist, but of all of them contributing their best skills and talents in a well-concerted endeavor and with one single focus: restoring every individual to their overall state of wellbeing and ‘Life Balance’,” states Judson. “And the most conducive way to achieve this is in an environment that is luxurious, uplifting– and encouraging”. A true example of this is the “Garden to Table” program currently implemented in two of the six Nationwide Healthcare Services facilities. This program allows residents of all abilities to heighten all of their senses by experiencing the pleasures of gardening. Offering garden beds that are wheelchair accessible or standing height for persons working on balance control, the program provides residents with a pleasant way to achieve high levels of function. This program integrates local business owners, horticultural experts, students from area schools, and culinary experts that offer cooking demos and tasting, using herbs and plantings from the gardens. This is just one of the many programs offered at Nationwide’s facilities that residents can experience and enjoy. A step above in healthcare protocols, and with a strong commitment to deliver results that are beyond conventional through their positive team and family spirit, Nationwide Healthcare’s Mission is to seamlessly bring together specialty knowledge, evidence-based protocols, and state-of-the-art rehab technology to accelerate their patient’s return to their cherished routines. ← Sterling Healthcare & Rehabilitation Center Wins Awards!